Sunday’s have become the day of the week that I like to give J a little time to herself. I don’t usually end up giving her much, but most of the time, L and I go for a little ride to pick up dinner. This past Sunday, I was trying to come up with someplace on the other side of town to get dinner. We had just had pizza from Cottage Inn the day before, but I was still in the mood for pizza and wouldn’t ya know it, there’s a pizza place on the East side that I haven’t been to yet. 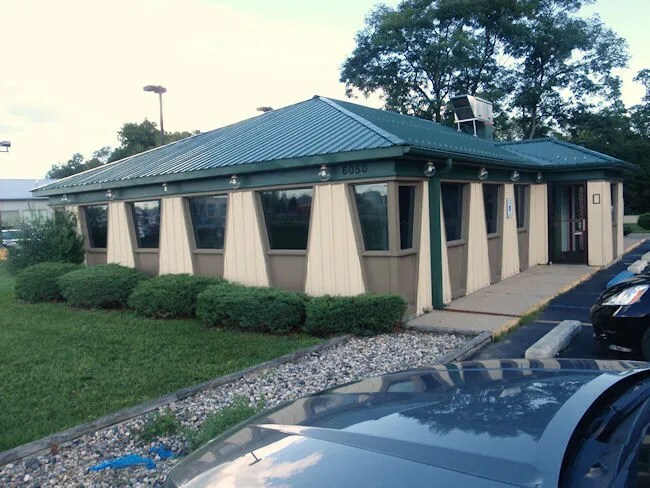 Jaspare’s Pizza and Italian Food has a few stores in the Kalamazoo area. In fact, we had eaten at one on the corner of Sprinkle and Kilgore before they moved down the street. The Jaspare’s website says they are going to have online ordering soon, but it’s not available yet, so I had to do it the old fashioned way and call in my order. 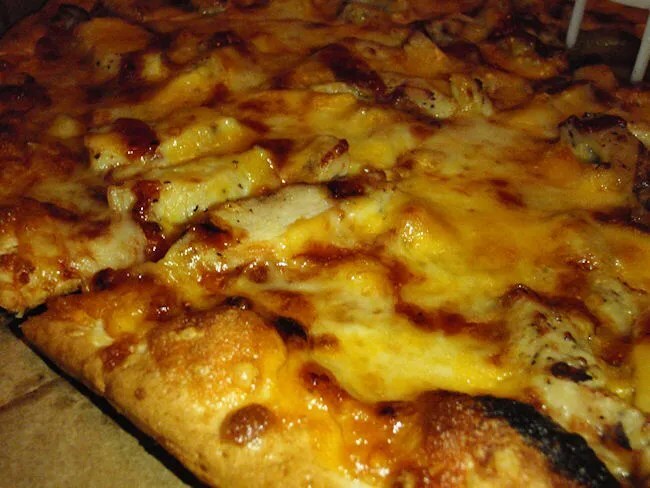 My new thing, for some reason, is BBQ Chicken pizza. 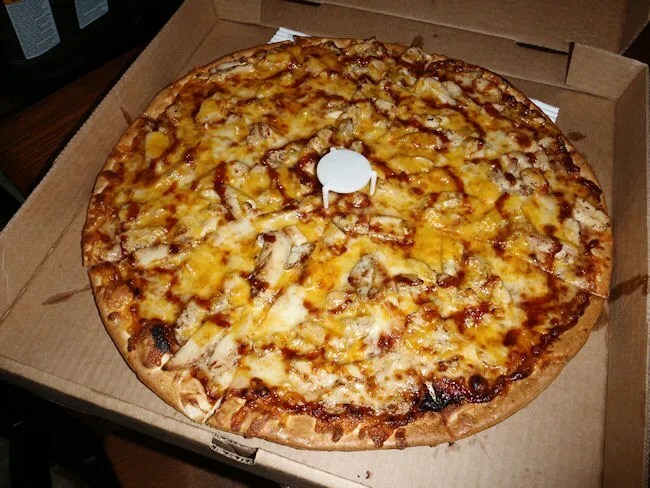 Lucky for me, Jaspare’s had one of those so I ordered a 16″ thin crust. J wanted something a little more simple, so I got her a 12″ thin crust with just cheese. 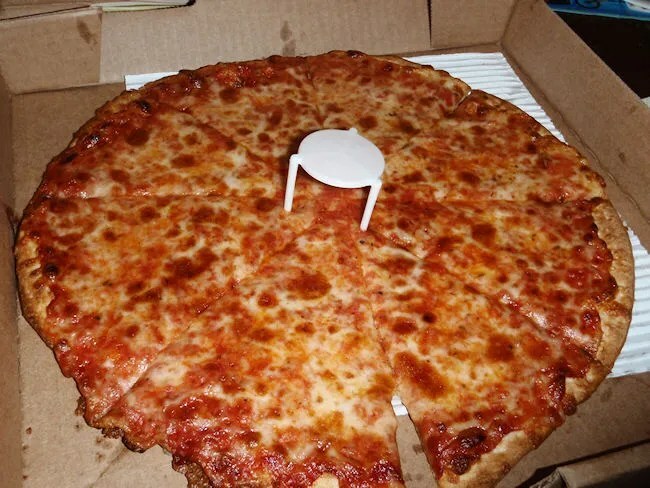 I was told it would take about twenty minutes and by the time I got L in the car and hit every red light on my way through town, my pizzas were waiting for me. 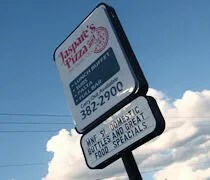 The set up at Jaspare’s brings back memories of grade school when we used to get free personal pan pizzas at Pizza Hut through their Book It program. My dad never really liked Pizza Hut, so we only ate there when my brother and I got free ones. I walked in, with baby in tow, to the dimly lit dining room with a huge buffet in the middle. A waitress saw me and asked if I had called in an order. When I said yes, she pointed me towards the other side of the room where there was a cash register next to the kitchen. After finishing up with a couple dine-in tables, the waitress went to the kitchen to grab my two boxes then rang up the order. The bill came out to about $30 for the two pizzas. After grabbing the boxes, I had to juggle the baby and the pizzas as I walked by the full bar and the group of guys watching football. The Gull Road location is the only Jaspare’s location (currently at least) that has this full bar. Of course, on my way back across town, I hit every red light again. The good news is that I gave J a few extra minutes to herself to catch up on some things that she had been putting off. J’s pizza was pretty simple. Like mine, the thin, crispy cut was cut in to triangles and topped with the standard cheese pizza toppings. She ate a few pieces of that pizza then reached over and stole a piece of mine. Between the two pizzas, we had about a full pizza left over for yummy future leftover meals.